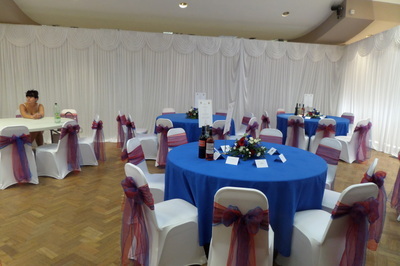 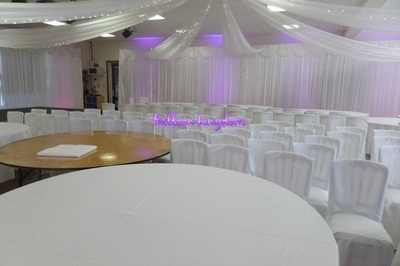 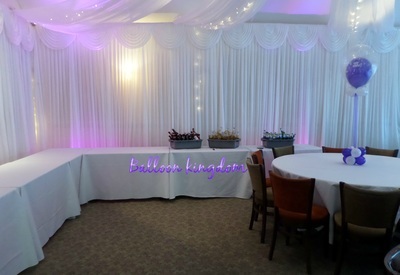 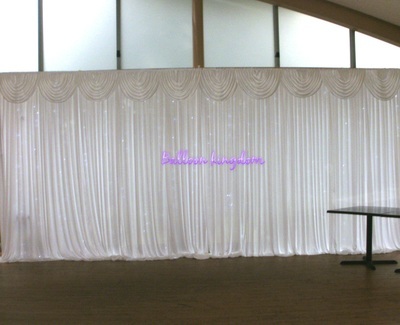 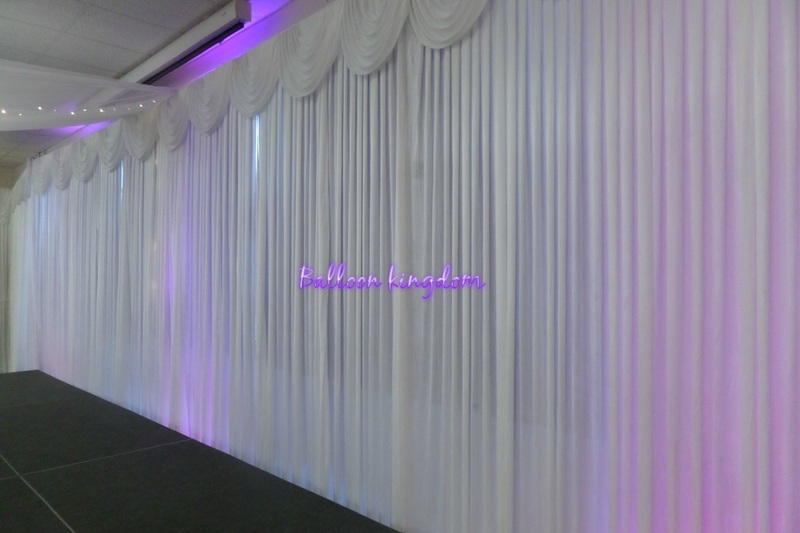 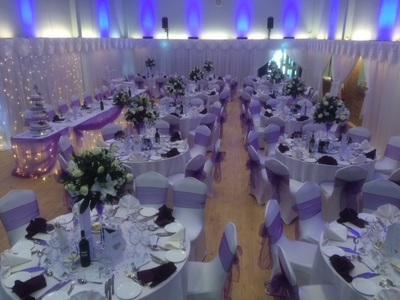 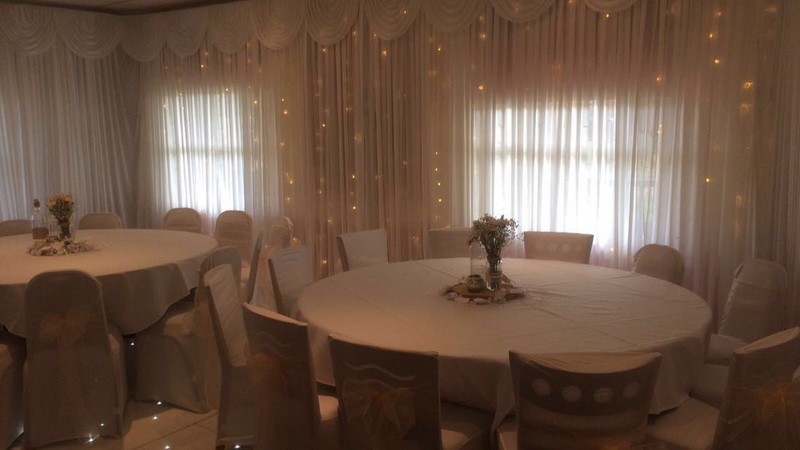 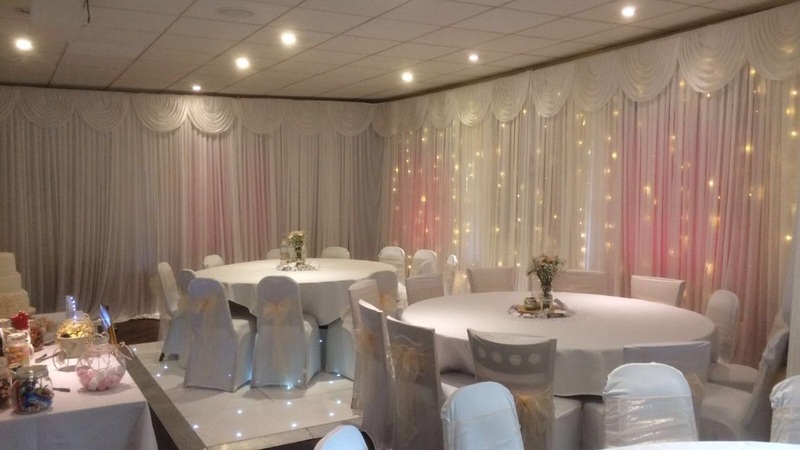 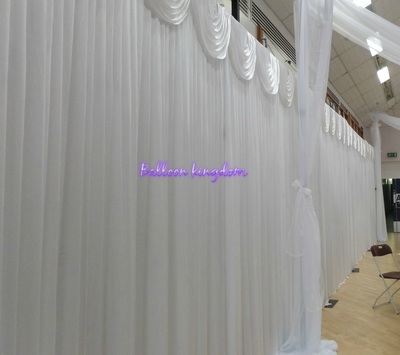 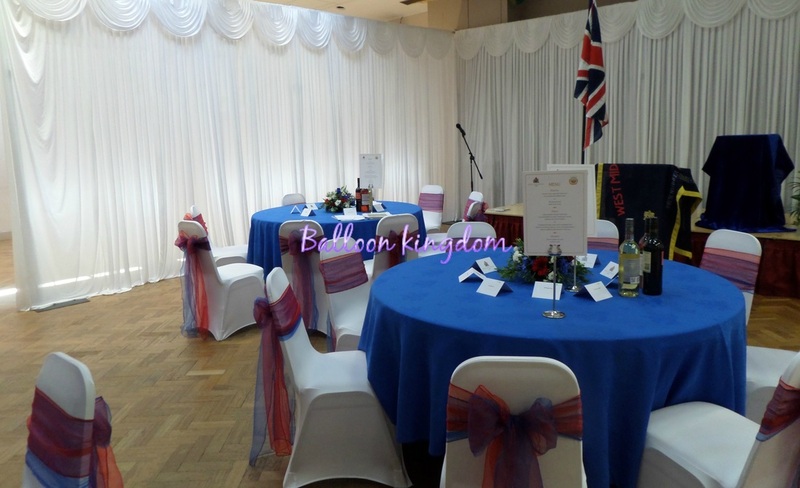 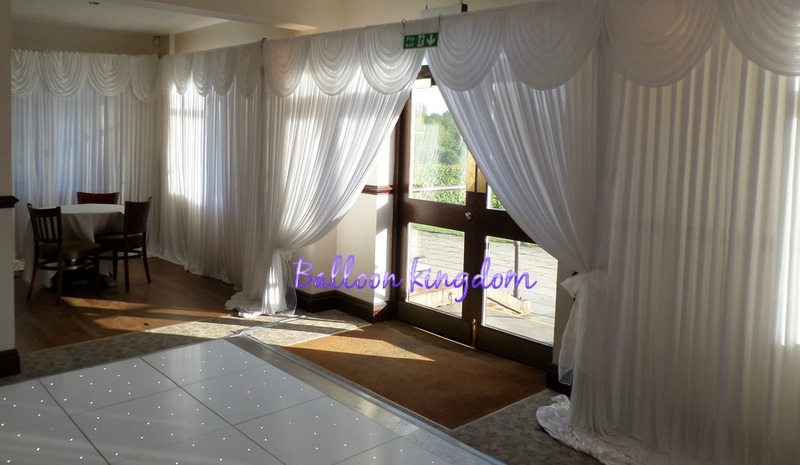 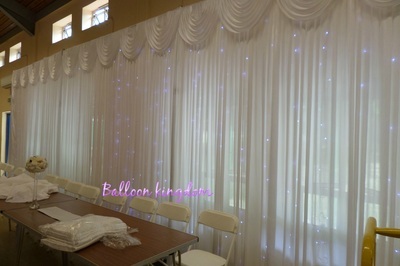 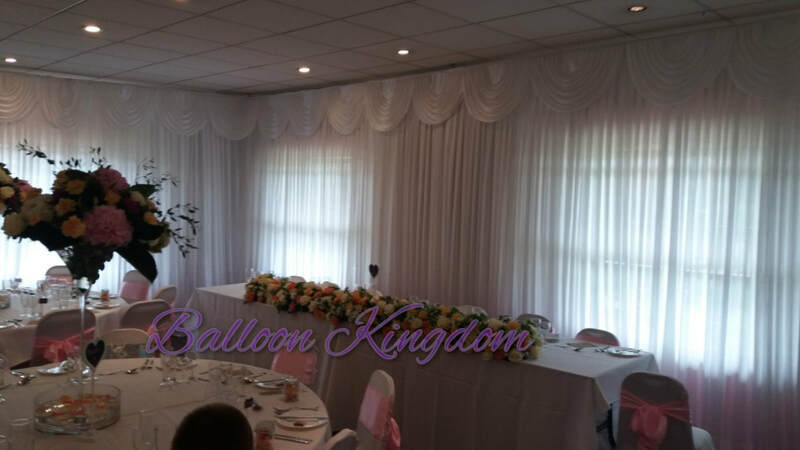 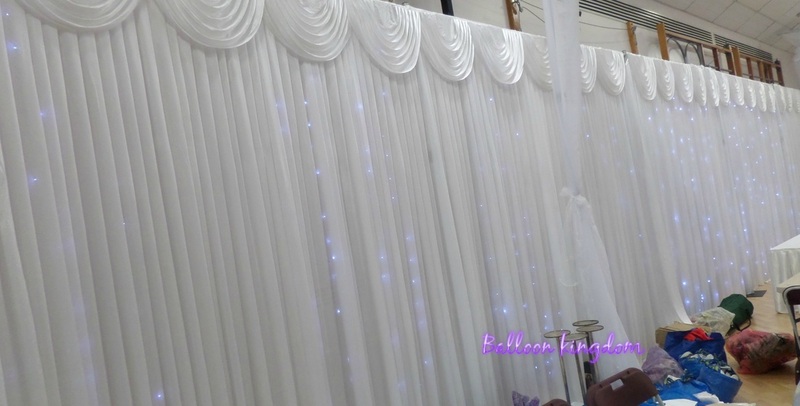 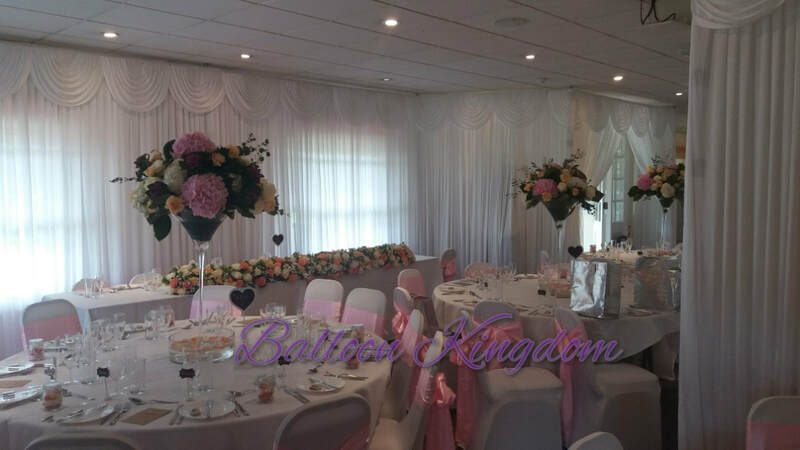 ​Wedding Wall Drapes and Wedding ceiling canopies can transform any room including hotel function suites, Conference rooms, school halls, village halls, Sports centres, Civic Centres and community centres into the perfect wedding setting. 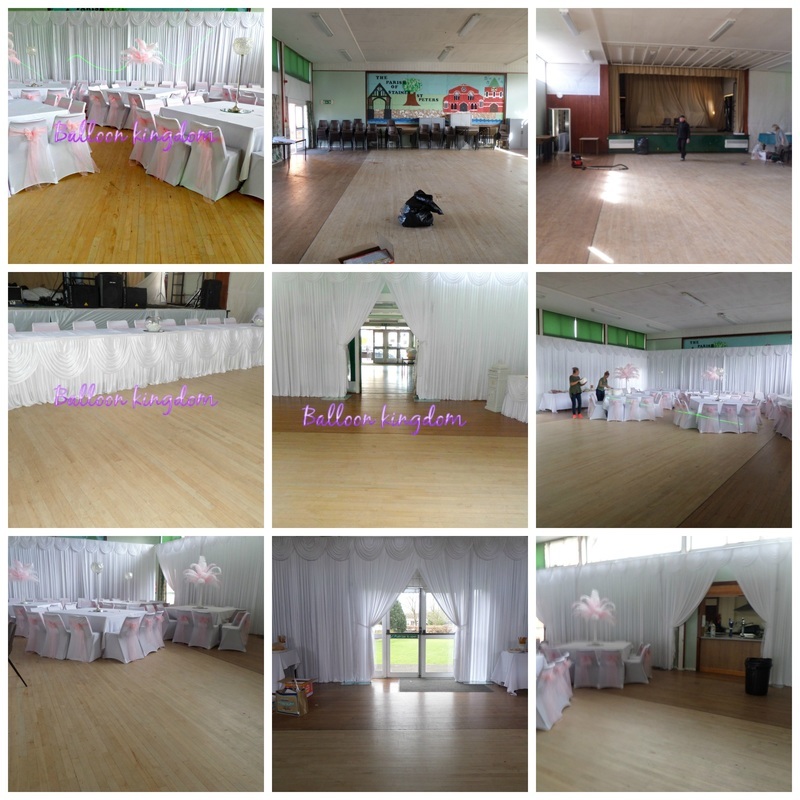 Wraysbury village hall after decoration. Wraysbury village hall before and after pictures. 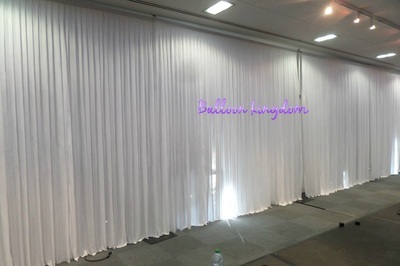 All Wall Drapes and Ceiling drapes are priced individually. For a quote please fill in the form below with the following information: width x length x height of walls. 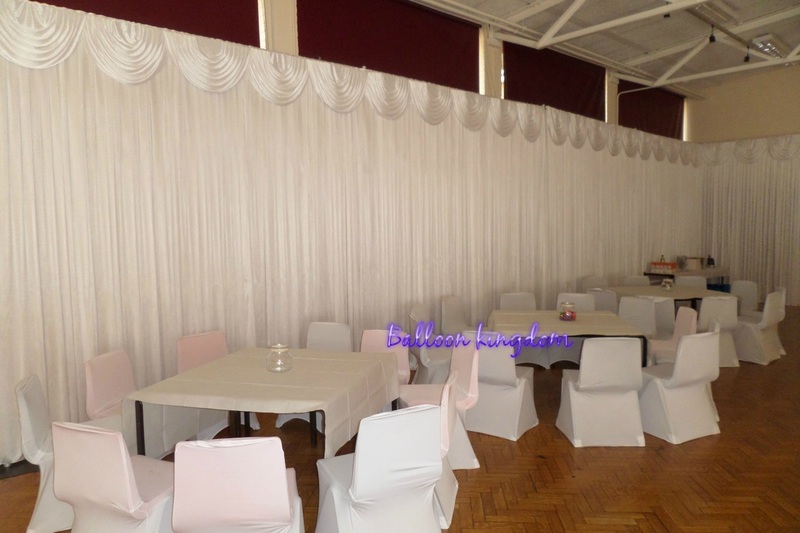 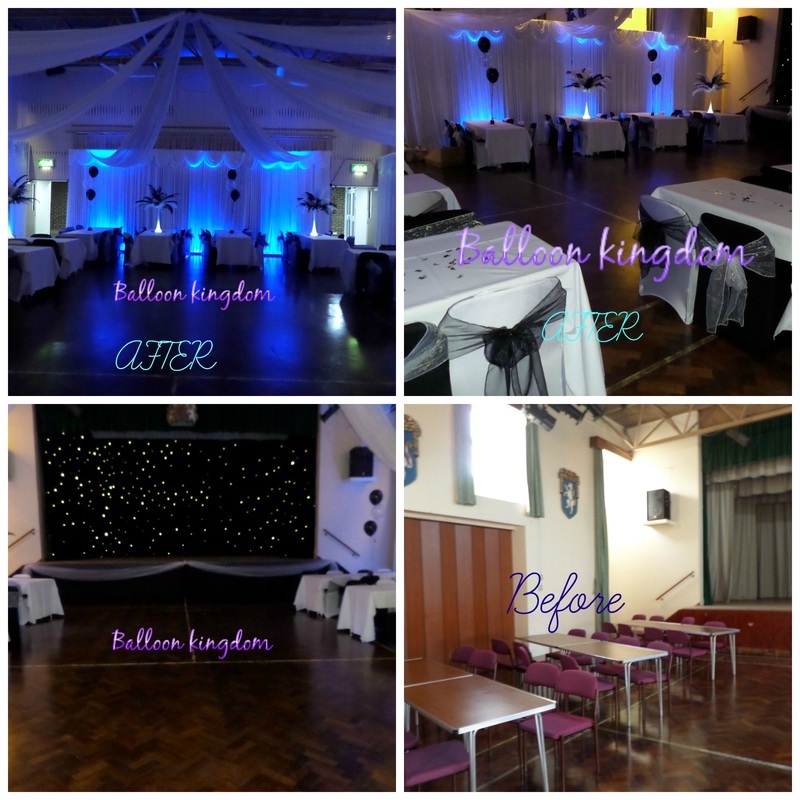 For ceiling drapes we are happy to use fixings your venue already has in place with their permission, otherwise we will use our free standing pipe and drape system. . It is the responsibility of the hirer to check with the venue for approval of any fixtures and fittings of ceiling drapes prior to booking and inform us if our pipe drape system needs to be used. 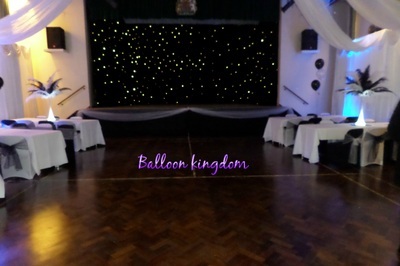 If no restrictions are advised we will assume there are none in place and attach in the best way available. 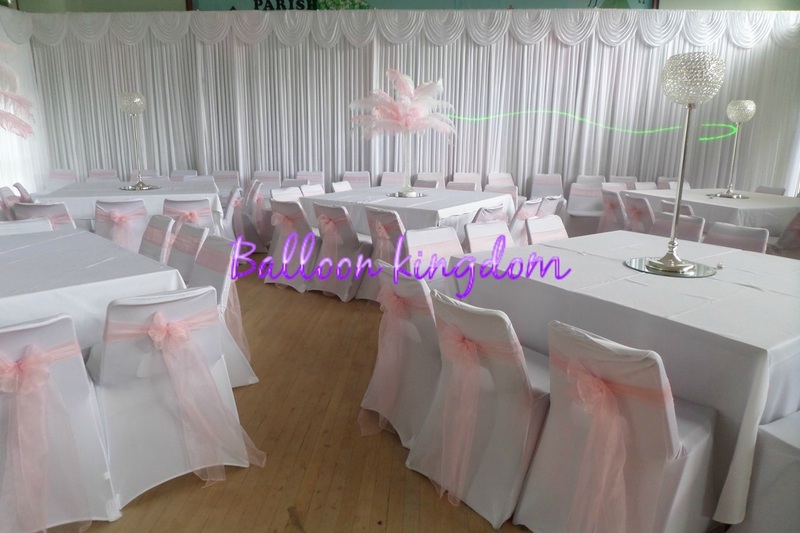 We are happy to arrange a site visit and measure your venue for you for a fee of £20.00 which will be deducted from your order. 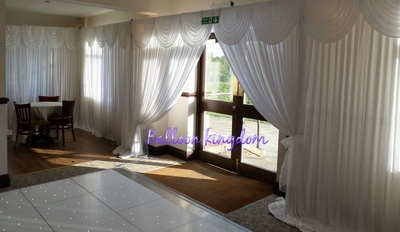 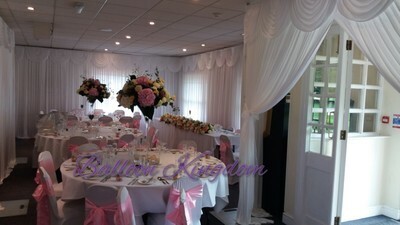 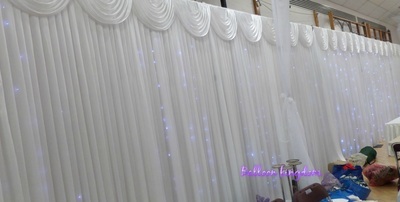 We require a minimum of 3 hours ( wall or ceiling drapes only) 4 hours (wall and ceiling) to set up. 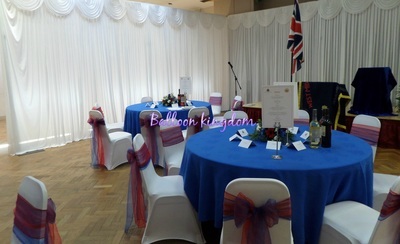 The room needs to be ready for us to decorate with no obstructions, due to health and safety no other persons should be in the room whilst we are setting up and only Balloon kingdom staff are to move and take down the equipment, Balloon kingdom will not be responsible for any damage caused to any persons or venue by any equipment moved by any unauthorised persons. 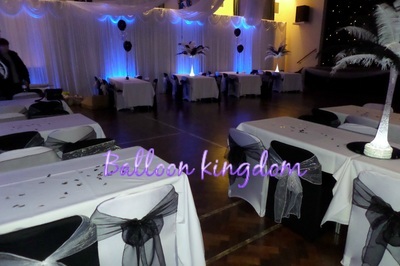 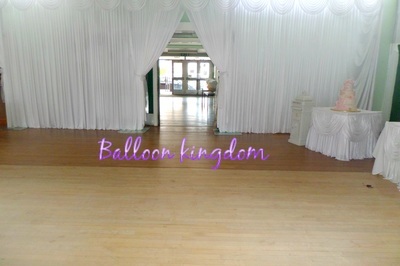 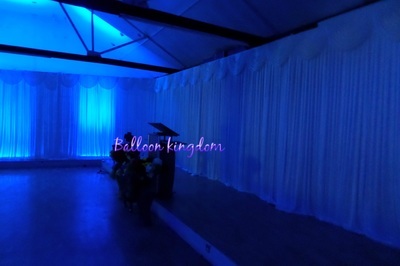 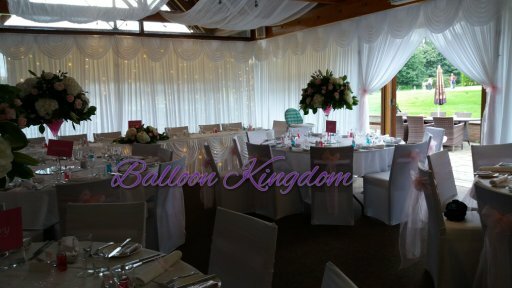 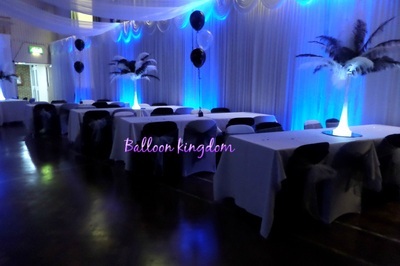 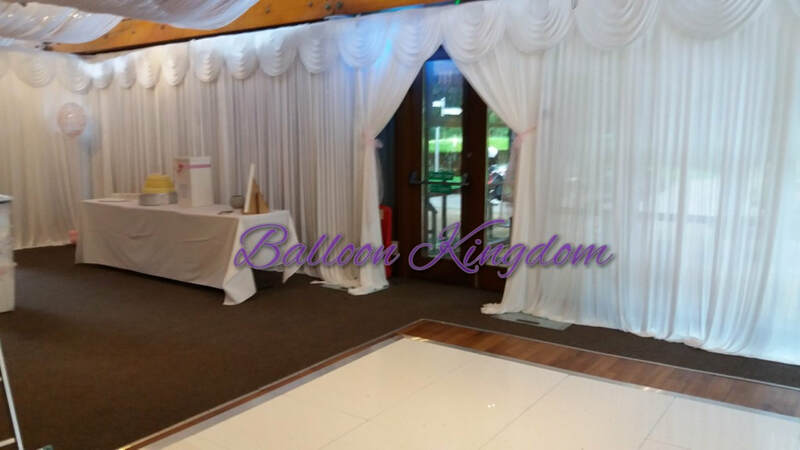 Balloon Kingdom will not be responsible for the misuse of this equipment, it is the hirers responsibility to ensure guests or any other person at the venue do not misuse the equipment and no one tries to swing or pull on the pole system and centre pole for ceiling drapes.. 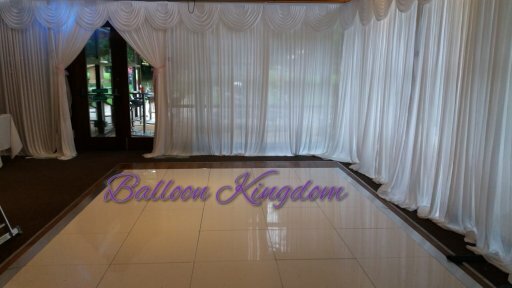 Balloon kingdom accept no responsibility to any damage to venues or persons caused by the misuse of the equipment.. By placing an order with balloon kingdom the hirer accepts these terms and conditions. Venue draping in UXBRIDGE, HILLINGDON, HAYES, WEST DRAYTON, IVER, SLOUGH, LANGLEY, DATCHET, DENHAM, WINDSOR, HOUNSLOW, FELTHAM, SOUTHALL, EALING, HEATHROW, RUISLIP, STAINES, EGHAM, VIRGINIA WATER, ASCOT, STANWELL, WRAYSBURY, WEYBRIDGE, STOKE POGES, STANWELL, SOUTHALL, BURNHAM, WEXHAM, CHERTSEY, ADDLESTONE, ASCOT, HANWELL, YEADING, NORTHOLT, MAIDENHEAD, MIDDLESEX, EAST BERKSHIRE, BUCKINGHAMSHIRE, GREATER LONDON WEST and surrounding areas.